➢Fiscal Deficit as the percentage of GSDP : 3%. ➢BPL, State BPL and Antyodaya families will get wheat @ 1 per kg. in place of 2 per kg. • 'Beneshwar Dham Development Board' will be constituted for the overall development of Beneshwar Dham. Mukhyamantri Dugdh Utpadak Sambal Yojna (मुख्यमंत्री दुग्ध-उत्पादक सम्बल योजना) was announced in Rajasthan Budget 2019-20 on 13th February 2019. Here is important features of this scheme. हाल ही में किस राज्यसभा द्वारा पारित किये गये संशोधन विधेयकों के अनुसार अब पंचायतीराज और स्थानीय निकायों के चुनाव लड़ने के लिए शैक्षणिक योग्यता की अनिवार्यता खत्म कर दी गई है? हाल ही में किस राज्य सरकार ने गुर्जरों को 5% आरक्षण दिए जाने के प्रस्ताव को मंजूरी प्रदान की है? 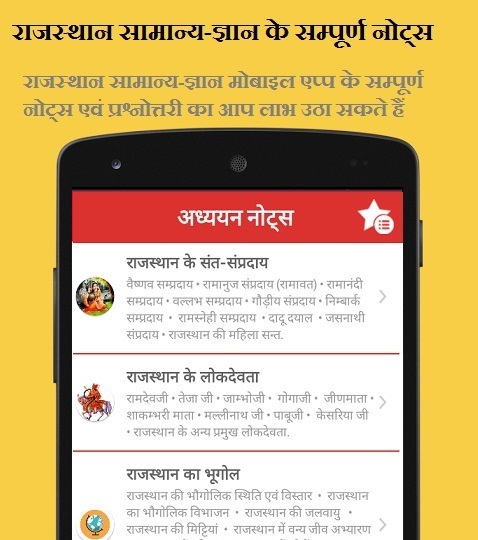 रेगिस्तान महोत्सव 2019 कहाँ आयोजित किया गया? ऑस्कर पुरस्कार समारोह 2019 में निम्नलिखित में से किस फिल्म को सर्वश्रेष्ठ फिल्म का पुरस्कार मिला? The Rajasthan Assembly has passed the Rajasthan Backward Classes Amendment Bill, 2019. The bill aims to address the demands of the Gujjars who are protesting for reservations. It provides 5% quota in jobs and educational institutions to Gurjars, Banjaras, Gadia Lohars, Raikas and Gadaria communities. The communities, namely Gurjars, Banjaras, Gadia Lohars, Raikas and Gadaria are currently provided one per cent reservation under More Backward Classes (MBC). The Bill seeks to grant them an additional four per cent quota. The bill increases the ceiling of creamy layer from Rs 2.5 lakh to Rs 8 lakh. With the 5% quota for Gurjars, Banjaras, Gadia Lohars, Raikas and Gadaria communities the backward classes’ reservation in the state has increased from present 21 per cent to 26 per cent. 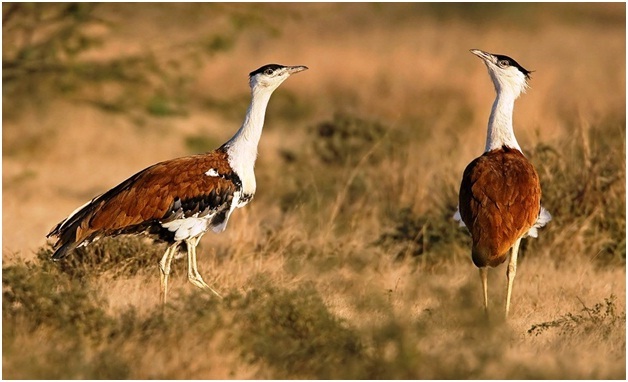 The reservations in Rajasthan now crosses the 50 per cent cap on reservations set by the Supreme Court. To avoid the possible legal tussle the Rajasthan Assembly passed a resolution and urged the Centre to incorporate it in the 9th schedule to ensure the reservation for these communities. The statement on the objective and reasons for the bill notes that Parliament has amended the Constitution to exceed the limit of 50 per cent laid down by the Indra Sawhney case having regard to the compelling circumstances in which Economically Weaker Sections of the society are languishing. केंद्रीय पर्यावरण मंत्री, डॉ. हर्षवर्धन ने, ग्रेट इंडियन बस्टर्ड (GIB) / गोडावण को 2020 में गुजरात में आयोजित होने वाले प्रवासी प्रजाति (CMS) के संयुक्त राष्ट्र सम्मेलन के 13 वें सम्मेलन के पार्टियों (COP) के लिए शुभंकर घोषित किया है. उन्होंने यह भी खुलासा किया है कि पक्षी को मंत्रालय द्वारा 'गीबी' के रूप में नामित किया गया है. CMS-COP 13 प्रवासी प्रजातियों और उनके आवासों के संरक्षण और स्थायी उपयोग के लिए एक वैश्विक मंच है. इसमें 120 से अधिक भाग लेने वाले देश हैं. अब तक, 12 सीओपी (पार्टियों का सम्मेलन) आयोजित किया गया है. सरकार ने COP-13 के लिए एक वेबसाइट भी शुरू की है.CMS COP ग्लोबल वाइल्डलाइफ सम्मेलन के रूप में भी जाना जाता है.